I've alluded to my business a few times in my blog posts, but never really told you what I do. I own & operate my embroidery business Bold Impressions (follow Bold Impressions on Facebook). We embroider corporate apparel, personalized bags, towels, blankets, etc, and promotional products. 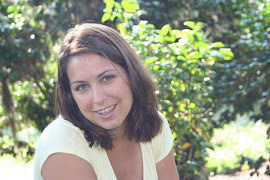 One day I will take the time to tell you how my husband and I fell into this business, but for now I just want to talk about our current promotion. I think you will like it! 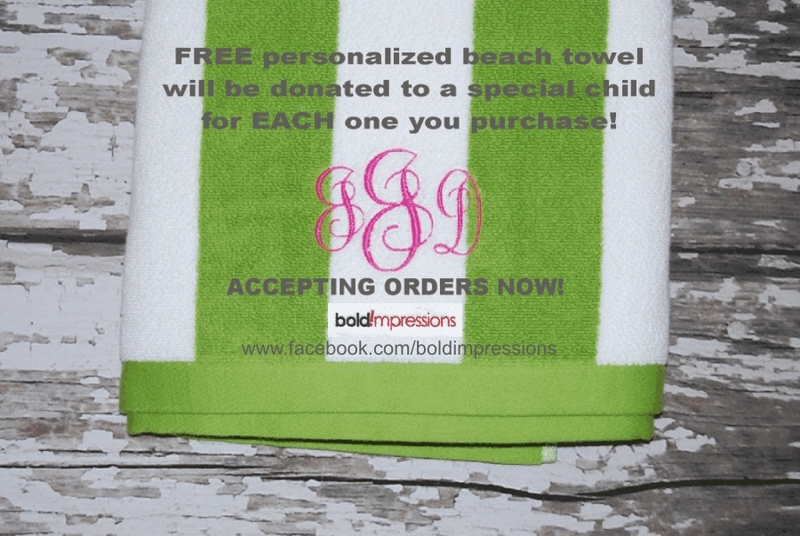 We are giving away -as in FREE of charge- a personalized beach towel to orphans in our local community for EACH personalized beach towel that our customers purchase. So, for example, when you purchase a personalized beach towel from us for your two children, we will also make a personalized beach towel for two children in local children's homes. We are already collaborating with Eagle Harbor Ranch, and we have other children's homes lined up for future recipients. I would love to see this go national to other children's homes. How wonderful would it be for these children to have something of their own, when the world around them keeps changing and nothing seems constant. We can share God's love with these children by giving them something of their very own. Join us on Facebook Message me with your order information (see below). Shipping is available nationwide, and we will invoice through paypal. If you would like, you can include with your order a note to the recipient of the free towel. We will deliver all the towels to the children's home once we have accumulated enough orders for each child, so they all get their own towel at once. Let me know if you have any questions. I look forward to working with you! Baseball First Birthday, but a memory.